We at Eat, Sleep, Fish were pleased to have the chance to ask a few questions to Dr Paul Gaskell from the Wild Trout Trust about conservation, urban trout and of course fly fishing. 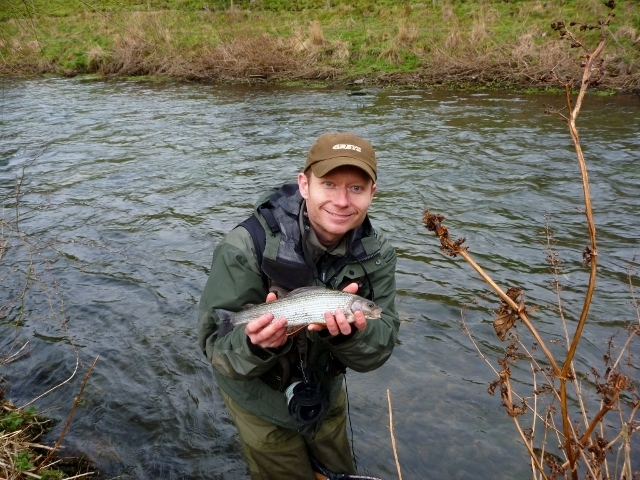 Paul, trout, the environment they live in and of course fishing are important to you. When you were studying ecology were you planning the route it would take you directly in to the trouts habitat or did things just fall in to place? Having spent 5 years looking in to the effects of ecological risk posed by motorway drainage storm runoff your work now has now been adopted in the manual Design Manual for Roads and Bridges you must look back with a real sense of achievement? I do on the one hand, but my big regret with that is that the outputs are kind of languishing in a massive “private” report that was provided to the sponsors. It would be much better if I had been able to publish the findings in the peer reviewed “primary literature” during the project – but unfortunately I couldn’t find a way to manage the 50 to 90-hour weeks of working on keeping the main project afloat (that we were contracted to deliver of course) and do the publication writing, review and resubmission process at the same time. There are people who do manage this sort of thing, so I take my hat off to them. I did manage to publish a really meaty paper from my Ph.D work during the Highways Agency project though - which actually involved going out and getting more data to supplement some pilot works that a Ph.D student that I was supervising at the time had completed during her Master’s degree in our research group. So I can’t beat myself up too much on the multitasking front. Can you tell us a little about Trout in the Town? It was the brainchild of Simon Johnson (ex director and now director of Eden Rivers Trust) and Denise Ashton (our communications and publicity officer) really. On visiting the fantastic work that the Wandle Trust have been doing for many years now they started to wonder if this blueprint could be rolled out in other urban rivers. The idea really took root when Andy Pritchard of Colne Water Angling Club in East Lancashire (sited in a quite economically deprived area that used to support a massive textile milling industry) requested an advisory visit from Simon and he felt that this was exactly the kind of setting that deserved a local set of custodians of the river. On the basis of that idea, Denise and Simon drafted what turned out to be a successful funding application to the Esmee Fairbairn foundation to fund my post for two years. Currently, my salary is covered by a combination of funding from the E.A. rod license pot and various project-specific sources (I just charge my time to the most appropriate pots on a monthly spreadsheet breakdown – and I get to work on all sorts of things besides urban rivers). Trout in the Town has three main aims: To improve and protect the biodiversity of river corridors, to promote awareness and provide education of the value of urban rivers in their local communities and to translate that awareness and education into local community involvement with their river(s). I have around a dozen (just over) projects bubbling away at various stages of development spreading from London, through the midlands and northern England into Scotland. I’m just about to make a trip to Omagh in Northern Ireland in the next couple of months to kick start an urban river restoration project there after a very kind invitation from the Loughs Agency. If you need to get a feel for what Trout in the Town is all about – just get a copy of Theo Pike’s new book “Trout in Dirty Places”. It captures the ethos of it perfectly and features many of my Trout in the Town “local branches” – including my home of Sheffield. You can also keep up to date with Trout in the Town activities on my project blog www.urbantrout.blogspot.com and you’ll probably pick up from the blog that Theo is also chairman of the Wandle Trust. Do you feel the excellent work you and your colleagues are doing at the WTT is continuing to push the cause of the wild trout. Is membership continuing to grow year on year? I think we definitely push very hard for the cause for both wild trout and river corridor health. Given our size (a staff of six full timers currently – but soon to grow...) we punch massively above our weight. You can see that from the new mapping function of our activities on the recently revamped website: www.wildtrout.org). We can only do this volume of work because we enable people to carry out the necessary work themselves through training, assistance in finding funding and providing a constant (free to the recipients) consultation service. However, we could do much more as awareness of us and precisely what we do (in both angling and mainstream conservation circles) could is still not as ubiquitous as I’d like. At the moment we have a pretty modest membership of around 2500 and this number has been static certainly over the last 5 years or so. This number should really be greater as membership costs only the same as about a single pint of beer each month – and one big benefit of what we do is to make sure that there are more and more great fishing experiences for anglers around the UK. Are there parallels between WTT and Trout Unlimited in the US? Mayfly in the classroom is a fantastic idea. Is it being well received in the classroom by teachers and pupils? Does it also lead either directly or indirectly into conservation and fishing too? Yes- for example one of the first pilots that we did was based in small Staffordshire schools that were attended by the sons and daughters of the local farming community. When they grow up, they now know so much more about how land management influences water quality and river habitat (as well as how to conserve both). We always make the link between mayflies and other iconic indicator species like trout and grayling and we have combined mayfly in the classroom displays with fly tying and fly fishing “give it a go” sessions. I am also in the process of developing and piloting “Tenkara in the Town” as a tool to get kids into the river, sampling bugs, tying flies and casting them to trout and grayling (http://www.sheffieldsprite.com/index.asp?slevel=0z0z148z150&parent_id=150). Urban river or country stream? Is it difficult finding information on access to urban rivers? Nymph – there is something about reading the river to find fish and then lifting into a subtle take and having the rod come alive with “who knows what” on the other end. I still love dry fly though (I told you I’m terrible at choosing). 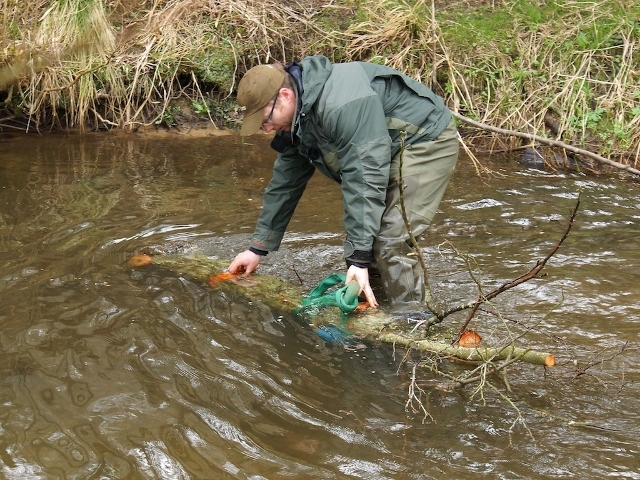 Are urban trout more resilient than we might think? It is more a case that the “neglected” habitats can be brilliant as long as water quality is OK. These urban rivers suffer much less from livestock overgrazing, diffuse agricultural runoff etc. Because they are frequently “walled off” behind the backs of old factories – they often have really good bank-side woodland that you just don’t get in manicured or grazed rural settings. The downside is the massive number of weirs that pond back the water and kill the flow (as well as making movement between spawning grounds and adult habitat “difficult” for gravel-spawning fish). Is there a long list of urban streams that you want to tick off? You know what, the list is growing all the time and it is probably the rule (rather than the exception) that most of these urban rivers actually contain good wild trout populations. To the point that, I would say, if you wanted to specifically target wild fish – you could do well to avoid more rural systems that have lengths leased by formal angling clubs (who often feel, rightly or wrongly, they have to stock fish in order to satisfy their membership). Our standard ESF question. One river, one day where would it be? Probably the Derbyshire Wye through Cheedale. That section is operated as a totally wild fishery by the Cressbrook and Litton Club and runs through an awesome limestone gorge. Is the future of trout and their rivers in good hands? We have every opportunity to make things great for our rivers at the moment (particularly with the opportunities afforded by the Water Framework Directive). But, the outcome is always in doubt and there are many, many people who do not realise the true value and true potential of our UK river systems. You only have to look at the conflicts such as water abstraction pressures and the massive upsurge in applications for ill-conceived low head micro-hydropower schemes that threaten our contemporary river ecosystems. Another perceived conflict is the totally double-edged sword between flood risk management to property and ecology. The ironic thing there is that the very best solutions to that problem mutually benefit both interests. The science exists to guide genuinely optimal trade-offs – but it is currently so hard to make sure those solutions are enacted on the ground. We cannot, of course, forget water quality issues – as these will be with us as long as human society uses land in our river catchments. For these reasons, all anglers need to belong to, not only the WTT who look after the physical habitat and fisheries management part of the equation, but also organisations that battle to prevent and bring to account polluters. It’s too risky to assume that others will do it for you – and right now it is within your gift to achieve improvements. That will not always be the case when some systems become irreversibly degraded. The planet isn’t making any new rivers in the UK so we have to do our best with the ones we already have.